The rise in popularity of gin over the last few years is undoubtedly one of the greatest come backs of the spirit world. 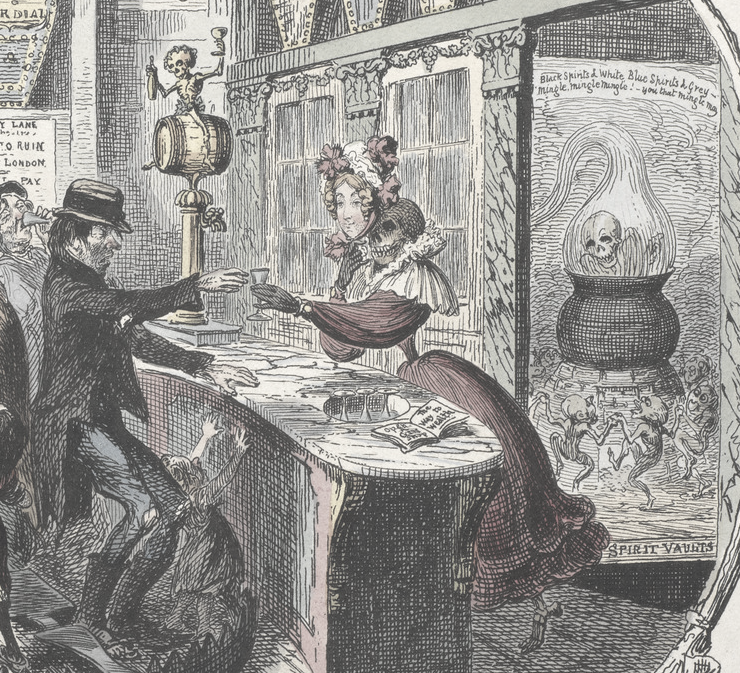 Once sold as a medicinal treatment and then the scourge of Victorian Britain, gin is now firmly back in place on bar menus across the world with new distilleries seemingly popping up every month or so. 2015 and 2016 have even seen the opening of several lavish Gin Palaces across the UK, an establishment not really seen since the late 1800's. We will be going into more detail about the history of gin and our most favoured distilleries in upcoming posts over the next few months. With this being our founder's favourite spirit, the discovery of Jude's Gin and Tonic Dairy Ice Cream was a very welcome one. As well as creating wonderful ice cream we at NT are big fans of Jude's because they use milk from local cows and are environmentally conscious; reusing energy, reducing food miles and recycling. They also support their community working with local schools and give 10% of their profits to charity. Their ice cream is now used by top chefs around the country and served in some of the UK's best restaurants. Preheat the oven to 170 C / 338 F / Gas 4 and line two baking trays with greaseproof paper. 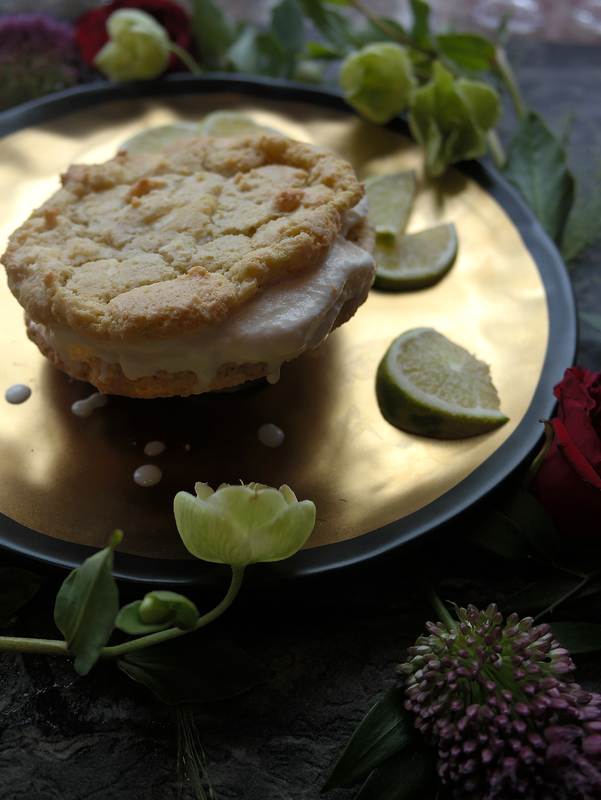 Beat together the melted butter and golden caster sugar until no lumps remain, then add the egg, extra yolk, vanilla extract and lime zesy and mix until light and creamy - around 2-3 minutes. Mix in the flour, bicarbonate of soda and salt until just blended and then stir in the chocolate chunks by hand with a wooden spoon - the mixture is very thick and chunky now so it may damage your hand beaters or stand mixer if you're not careful! Drop very heaped tablespoons of the cookie dough onto the baking sheets, lightly shaping them into rounds and leaving around 8cm between them (I baked four cookies on each tray at a time). Bake in your preheated oven for 12 to 14 minutes for chewy cookies or 16 to 18 minutes for crisp cookies. Remove and let cool for a few minutes on the baking tray before removing to a cooling rack and baking the next batch. 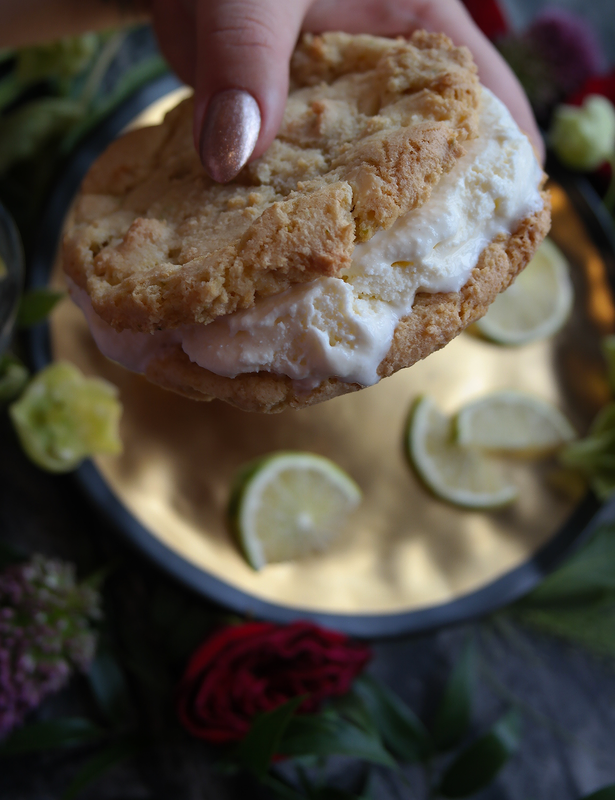 When the cookies are completely cooled get your tubs of Gin and Tonic Ice Cream and squash it between two cookies and enjoy.